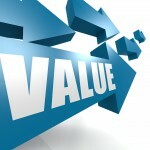 Unfortunately, most business owners have a very inflated view of the value of their company. And why not? They have put so much money, time and heart into it. But they need to realize the price is based on what someone else is willing to pay for it. Periodically having an evaluation prepared by a professional is a good way to help determine what the business owner needs to do to reach his or her goals.